Today is the third anniversary of killing of Victoria College student Sohagi Jahan Tonu. 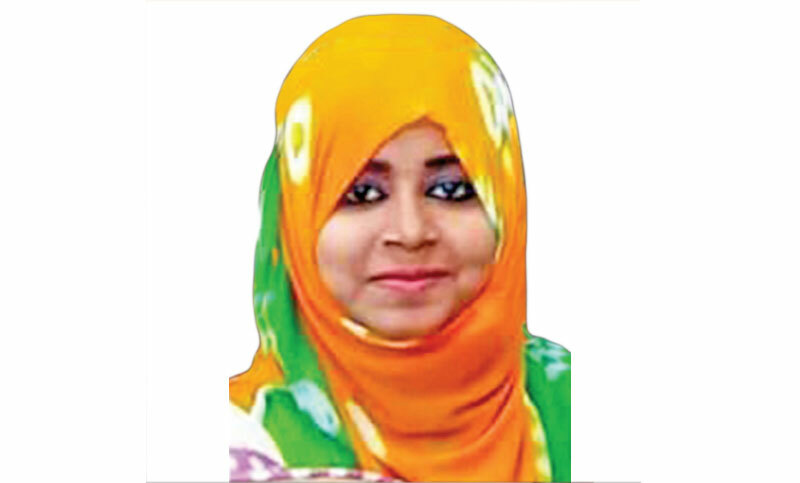 However, despite three years of Tonu murder, her killers are yet to be traced. Tonu’s mother Anwara Begum informed that they could not meet for second time with the investigating officer (IO) of the case, Jalal Uddin Ahmed, also a CID officer, although they met with him one year ago. During their last meeting with him he said that interrogation had been done for the interest of investigation. He said that they had left the issue to Almighty Allah. Tonu, a second year history student of Cumilla Victoria College and a member of Victoria College Theatre, was found dead at Cumilla Mainamati Cantonment on March 20, 2016 after she went out of her residence for private tuition. That night, her family members found the body in the jungle of the cantonment. Tonu’s father filed a murder case against unidentified persons with Kotawali police station. The case was finally handed over to the Criminal Investigation Department (CID) from police and the detective branch (DB) police on April 1, 2016. After two autopsies, the Forensic Department of Cumilla Medical College Hospital found no specific reasons behind the murder. But, the CID found sperms of three men after testing samples of Tonu’s clothes in May, 2017. It should have been matched the DNA of suspects, but it could not be confirmed if the matching was conducted. The CID did not say anything about the issue. CID officials interrogated three suspects between October 25 and October 27 in 2017. But, their names were not disclosed although the CID officials said those were suspected accused of Tonu murder. The IO, Jalal Uddin Ahmed, also an additional superintendent of police (ASP) of CID could not be contacted for comments despite several attempts made by this correspondent.